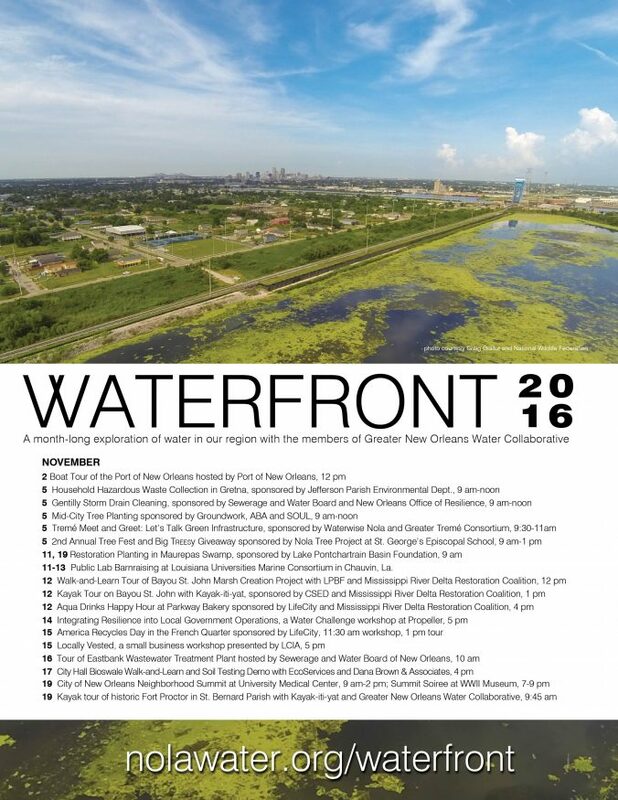 This November, for the second year in row, Greater New Orleans Water Collaborative presents a month-long, water-themed event series. Dubbed WATERFRONT, the event series invites you to explore water in and around our communities. Check out the events here. There is something for everyone!